Our patients say wonderful things about us and we'd like to share these with you! 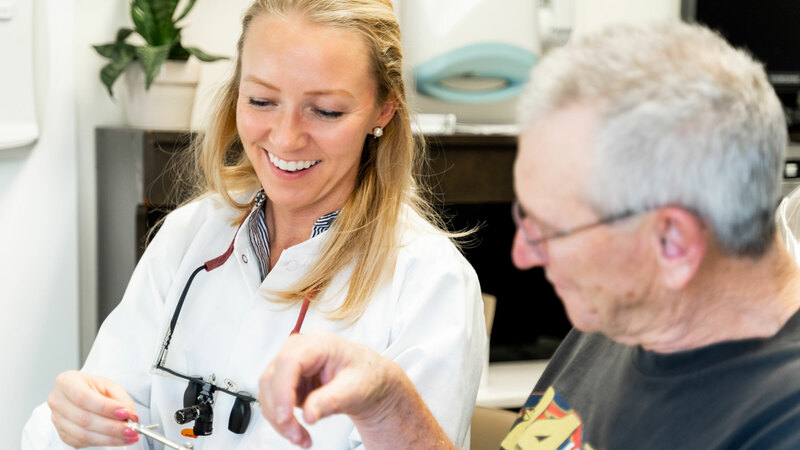 We could spend all day long telling you about the fantastic service we provide, but we know that it helps to hear from patients just like you. My 2 year old grandson ran right into the balance beam at the kid's gym, teeth first. I called Dr. Compton's office and he was seen within the hour. They calmed him down and went to work. I have been a a patient of Dr. Beaver's/Compton's office since the year 2000. They accomplished an amazing orthodontic outcome for me. I love my smile now! They have always provided kind & caring services and the staff is so friendly! I can't imagine trusting my dental care to anyone else. Dr. Beavers and Dr. Compton are wonderful Dentistis. 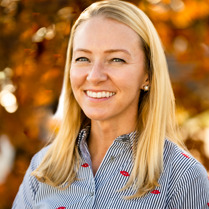 Not only are they extremely knowledgeable in their field, but they are also truly caring people that provide all of the family dental care that you need. 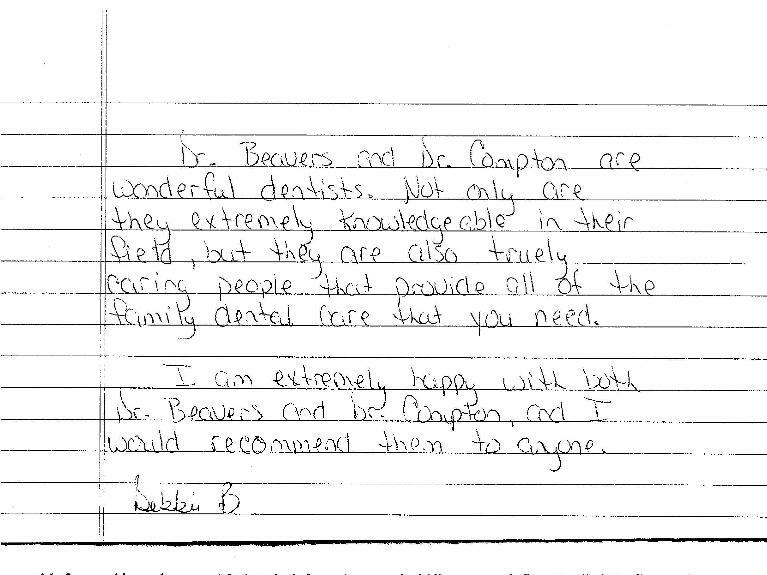 I am extremely happy with both Dr. Beavers and Dr. Compton, and I would recommend them to anyone.